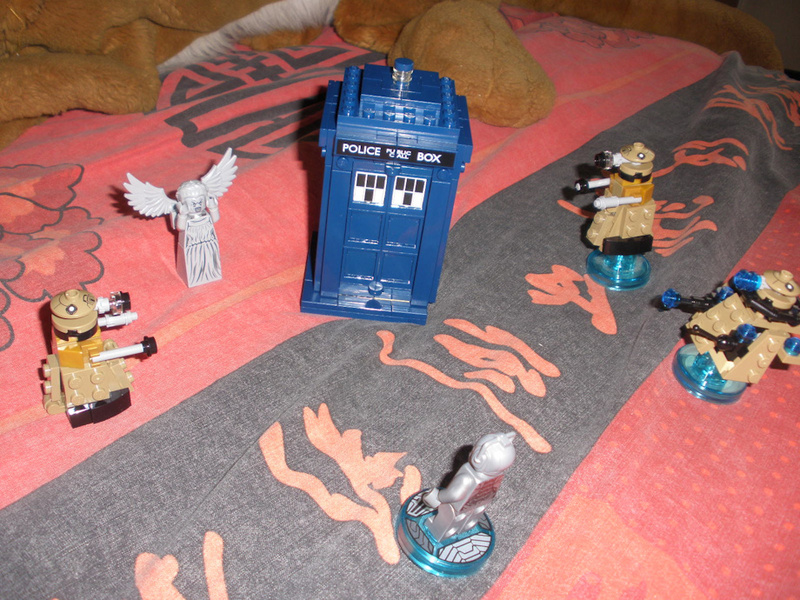 The TARDIS is under attack ! Clara and the 11th get the help of the 12th and K-9 to fight those invading forces ! Now, we have a problem : who are you ? All this was made with the Dr Who lego set I got for my birthday (it arrived quite early) and the two Lego dimension sets. I loved building all those, so many details. The set has so many you can only see in close-up. OH MY GAWD I love this pic of the Tardis and Cyberman and the weeping angel and the Daleks EXTERMINATE EXTERMINATE EXTEMINAAAAAAAAAAAATE!!!!!!!!!!!!!!!!!!!!!!!!!!!! !